TIME has released its annual 100 Most Influential People list for the year featuring current cultural icons like Tiffany Haddish, Cardi B, Trevor Noah, and many more. While everyone is deserving of belonging to this prestigious group, let’s take a moment to appreciate the appearance of a few young stars to make the list. Olympian gold-medalist snowboarder Chloe Kim, "Stranger Things" actress Millie Bobby Brown, singer Shawn Mendes, and Parkland high school students/activists Cameron Kasky, Jaclyn Corin, David Hogg, Emma Gonzalez, and Alex Wind, are amongst the youngest influential of this year, with Brown making history as the youngest of all time. With the tendency for media outlets to belittle and degrade the Millennial and Z generations, having these representatives on the list is proving critics wrong. For Brown, being the youngest person on the list since its inception is a well-deserved honor. Despite being only 14 years old, she already has an impressive on-screen resume, with acting roles in "Modern Family", "Once Upon A Time In Wonderland", "NCIS", and "Grey’s Anatomy" prior to her role as Eleven in "Stranger Things" in 2016. That deep understanding shows in the launch of her anti-bullying campaign and active support of the Parkland shooting survivors. Her Twitter is also the purest thing ever, with lots of fan interaction and support for her followers. 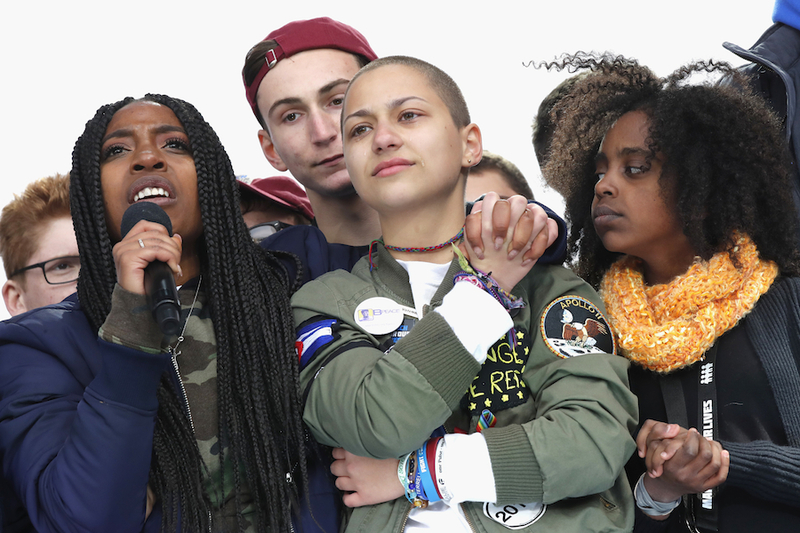 Along with Brown, the Parkland students currently spearheading the movement for national gun reform are easily some of the most important figures to arise in many years. They had the courage to take on a challenge bigger than any of them, and are still fighting just as hard as they have been since day one. These students are making national moves before many of them can even vote, and that makes them one of the top groups on the list. As former president Barack Obama said in his beautiful dedication to the students, “Our kids now show us what we’ve told them America is all about, even if we haven’t always believed it ourselves: that our future isn’t written for us, but by us.” These young figures have the power to inspire real change in generations to come, and we can’t wait to see it!